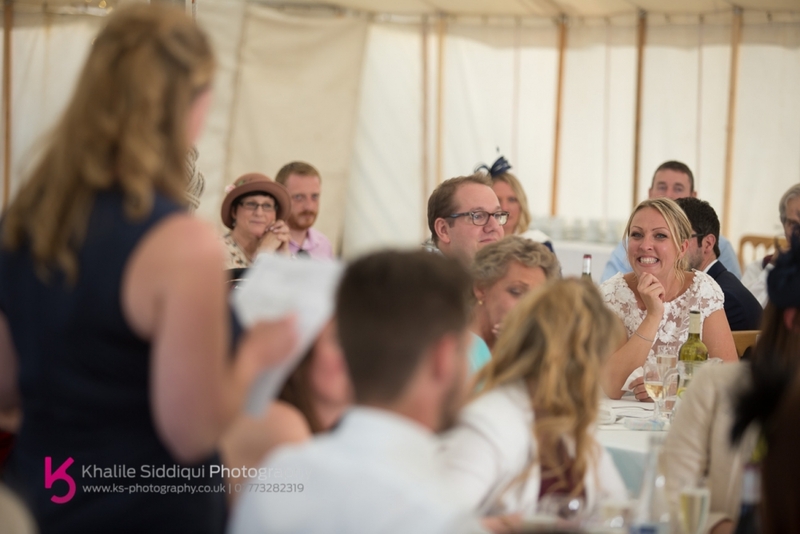 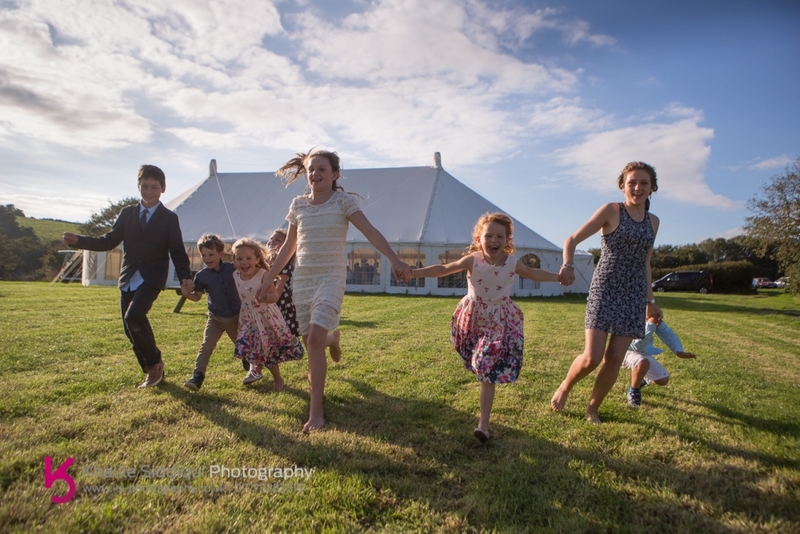 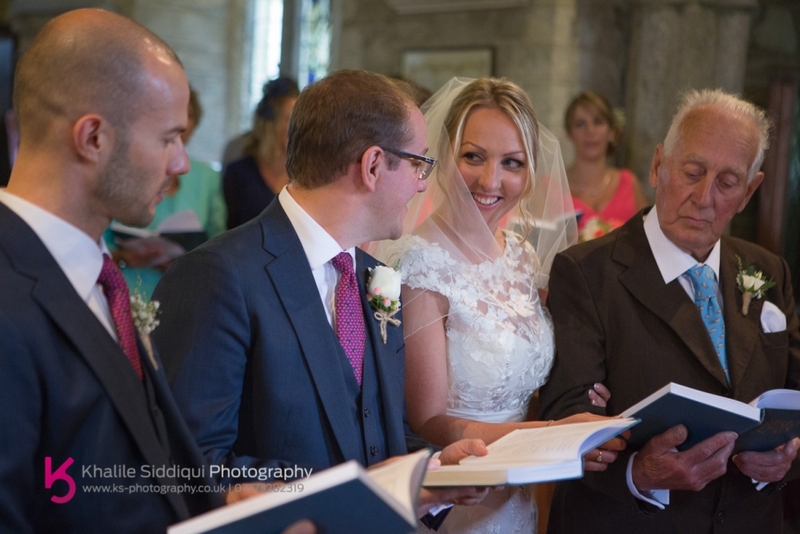 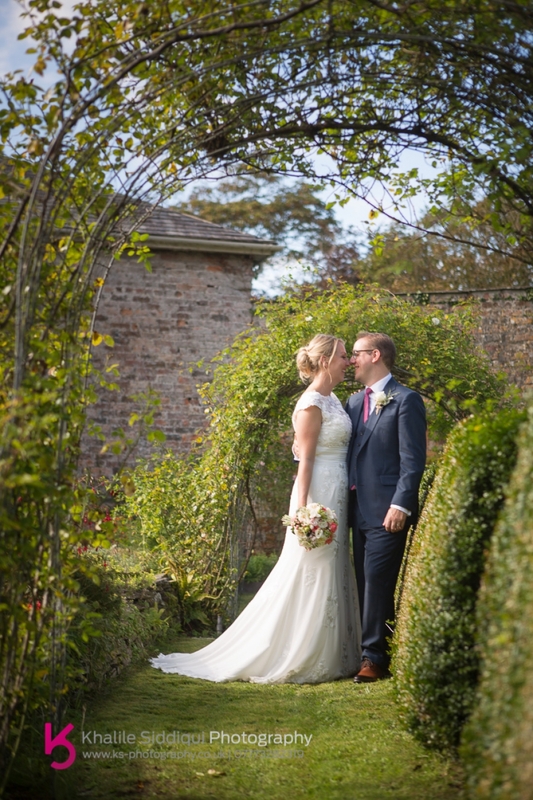 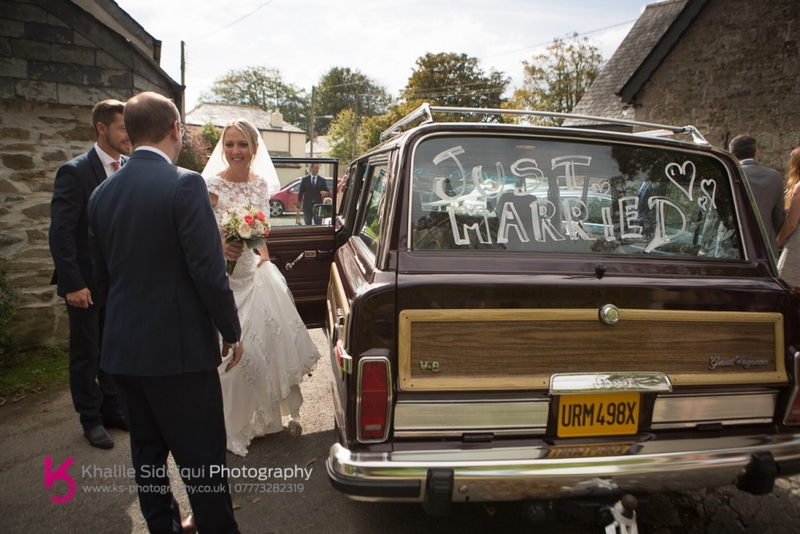 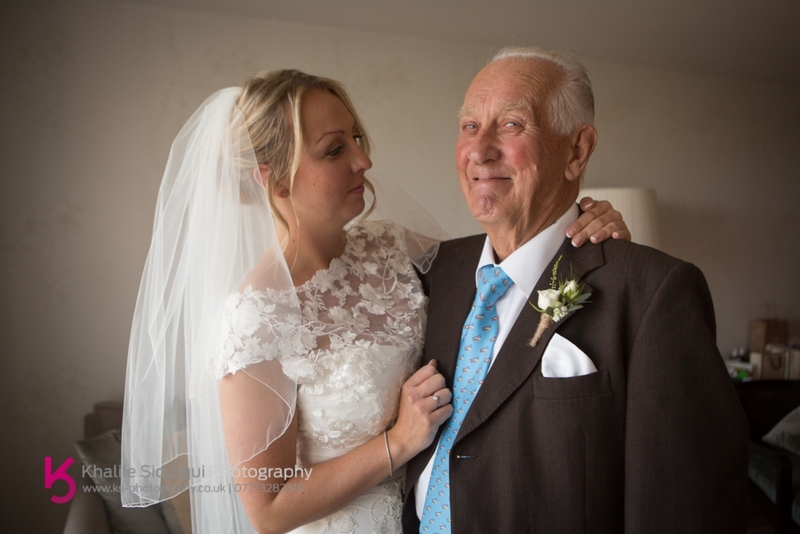 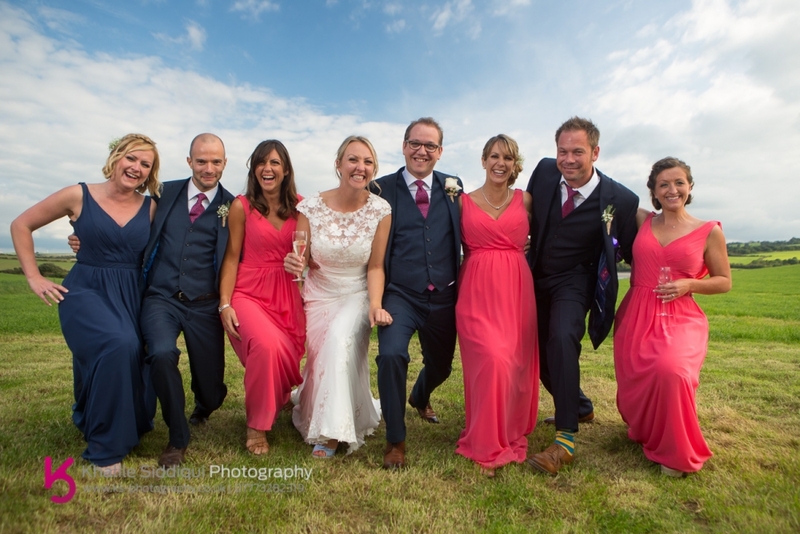 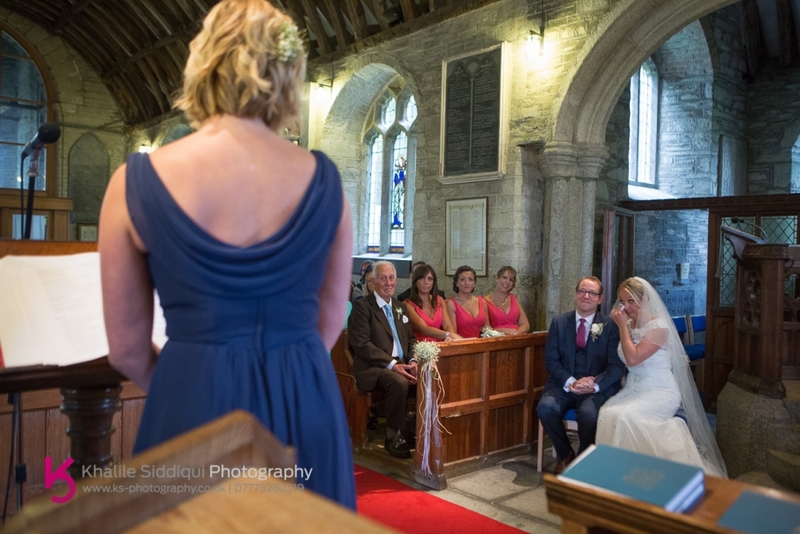 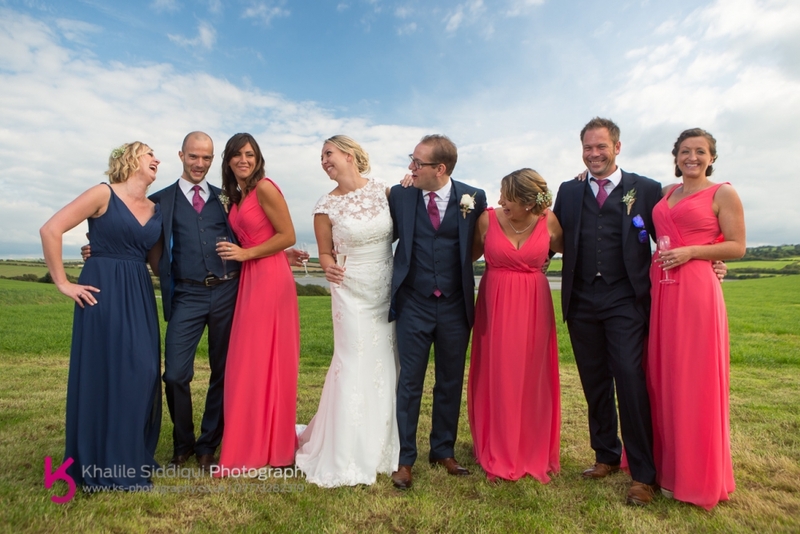 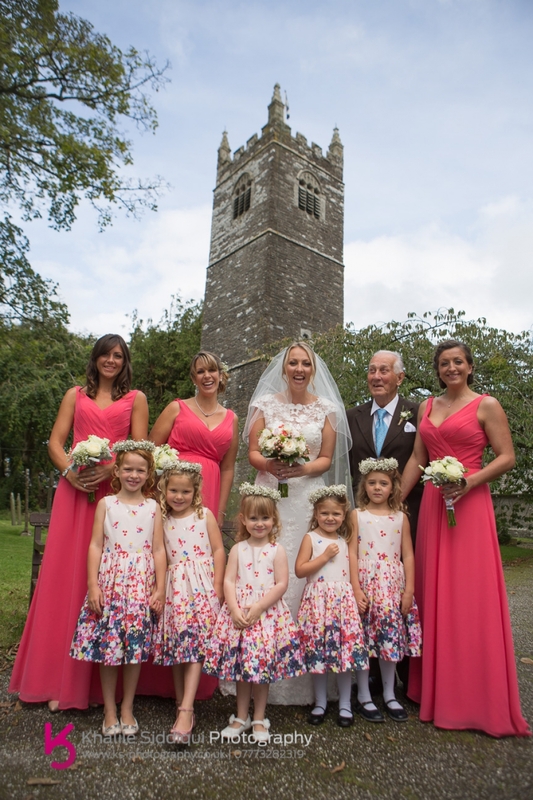 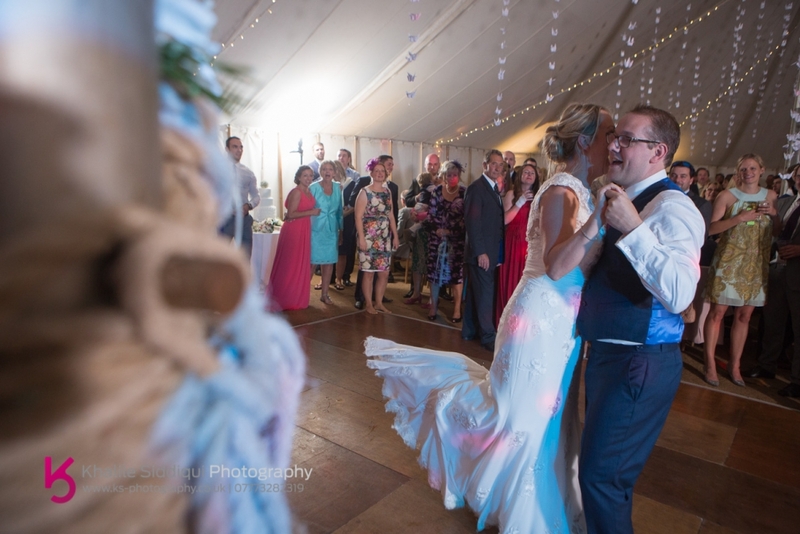 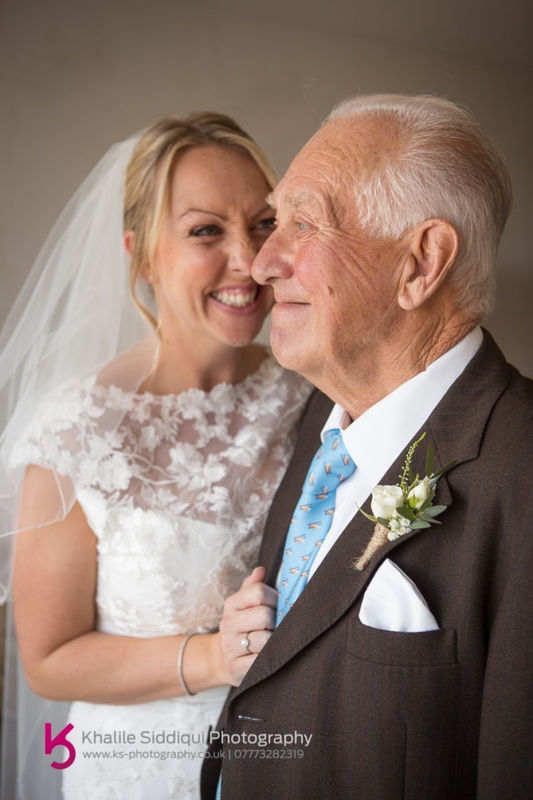 Any of our regular readers will know how much I love firsts, well, Sara and Ritchie met us for the first time last year when Sara had a roll reversal and was a bridesmaid at her friends Veryan and Stephen's wedding. 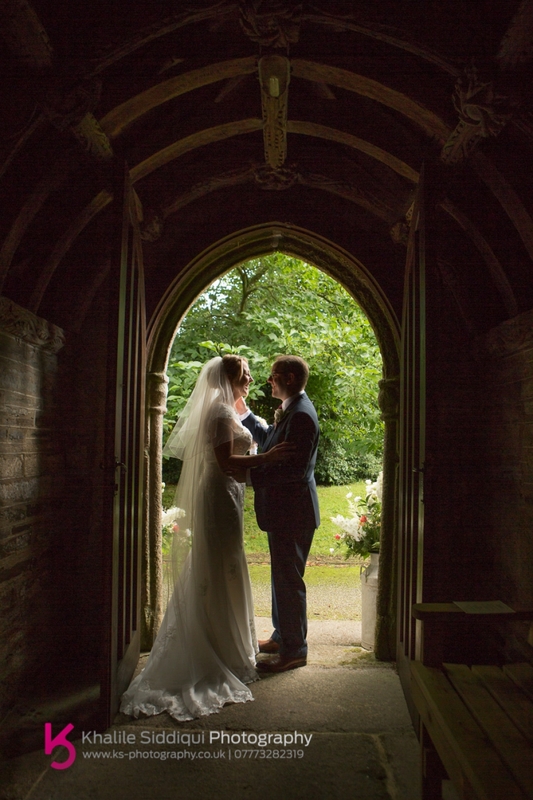 Secretly they told us that they'd got engaged and were so happy about how Tams and I operated that they asked us there and then if we could photograph their wedding at Dinham House nr. 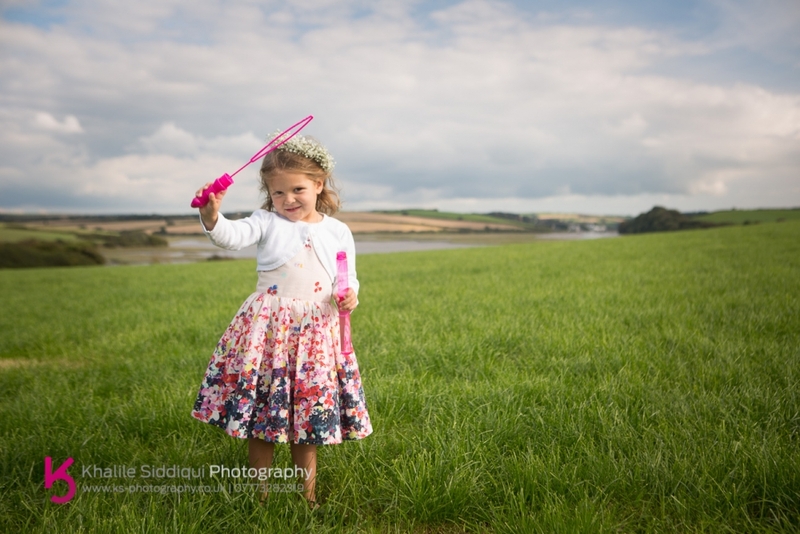 Wadebridge. 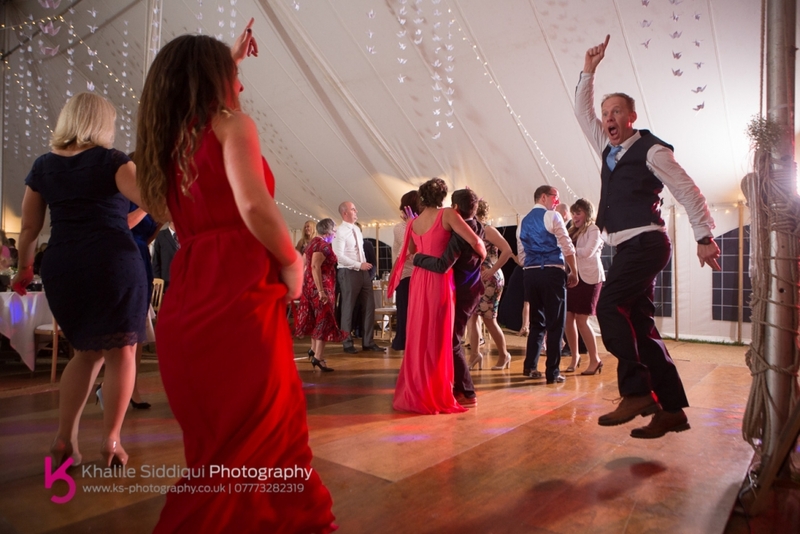 Last years wedding was such a blast, with such a lively crowd, and Sara told me that there would be loads of the same people going, that I knew it was going to be one of the years highlight weddings. 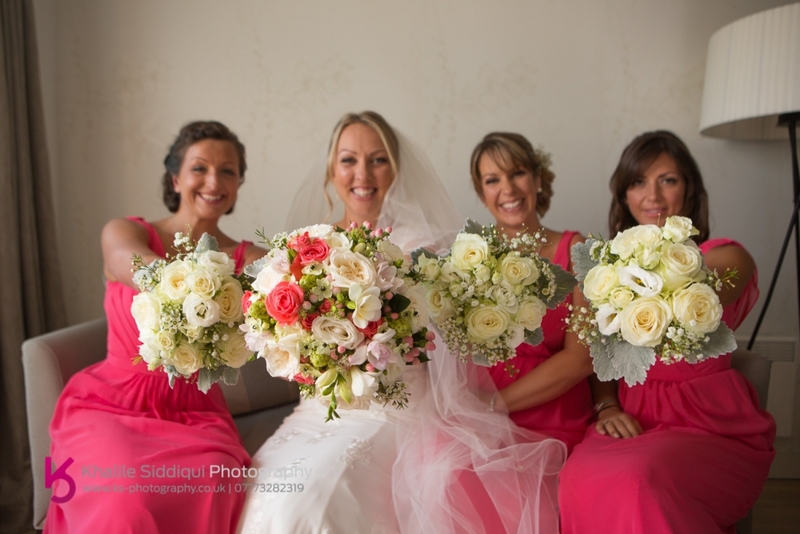 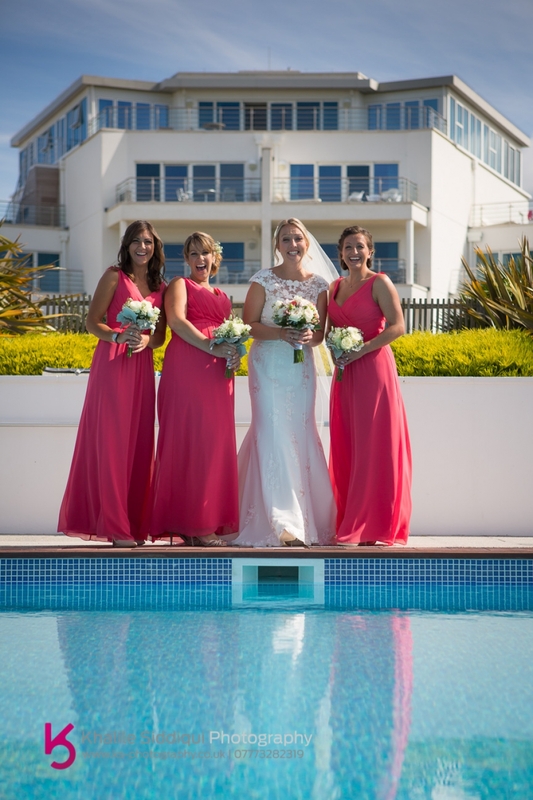 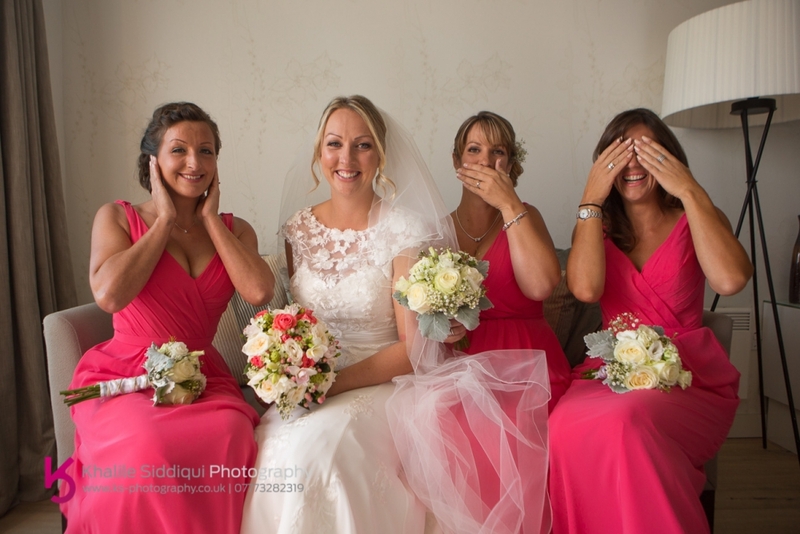 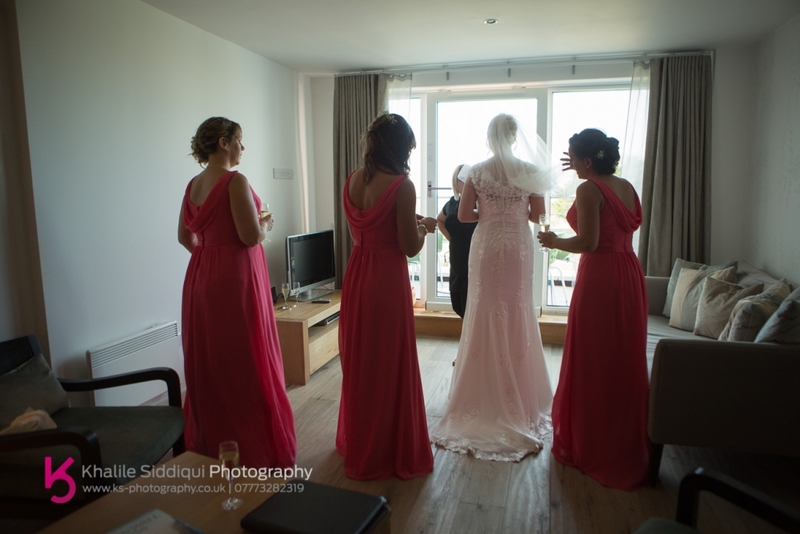 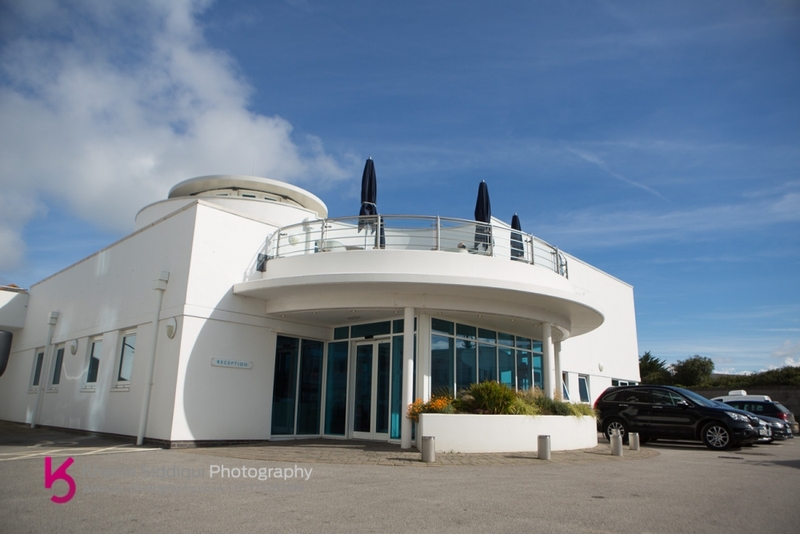 Our day started by meeting Sara and the girls getting ready at St.Moritz Hotel near Polzeath. 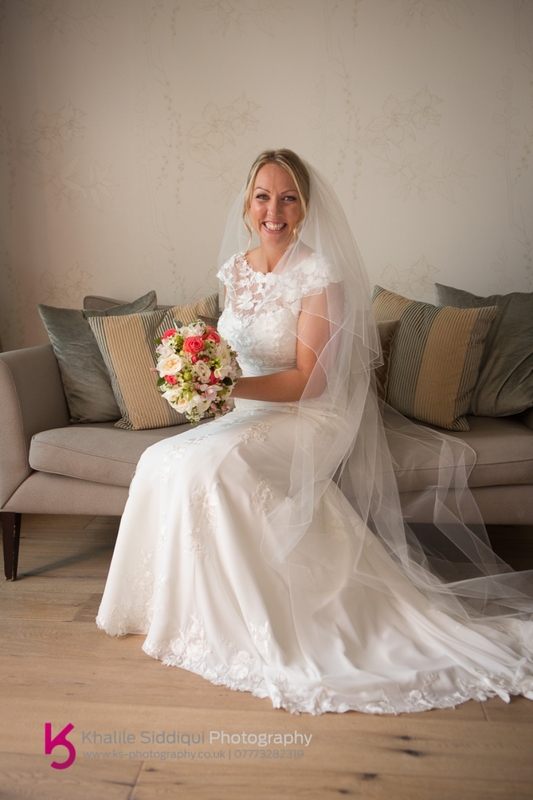 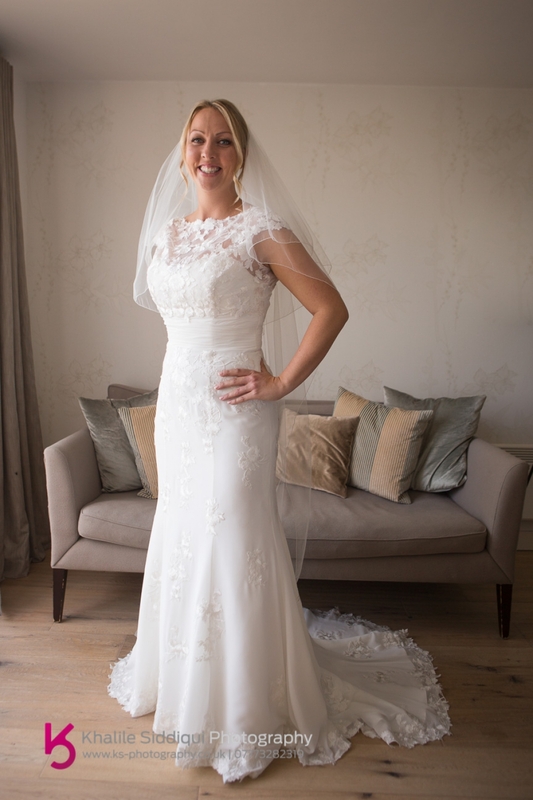 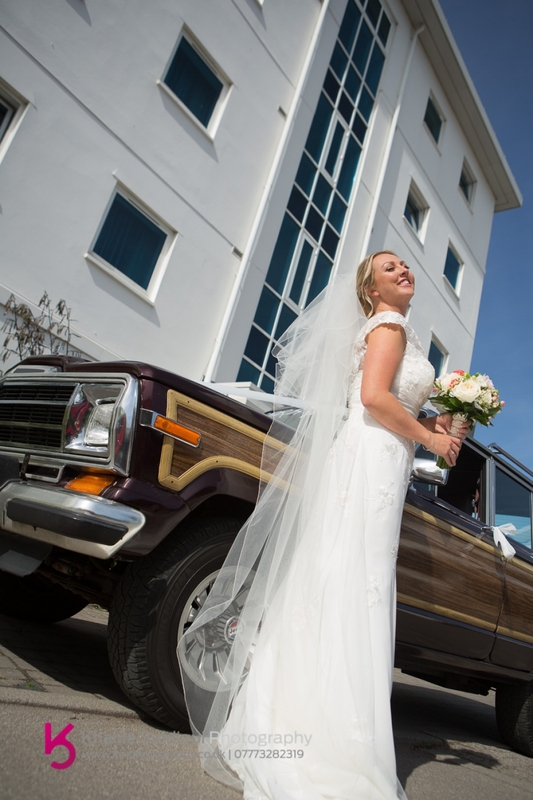 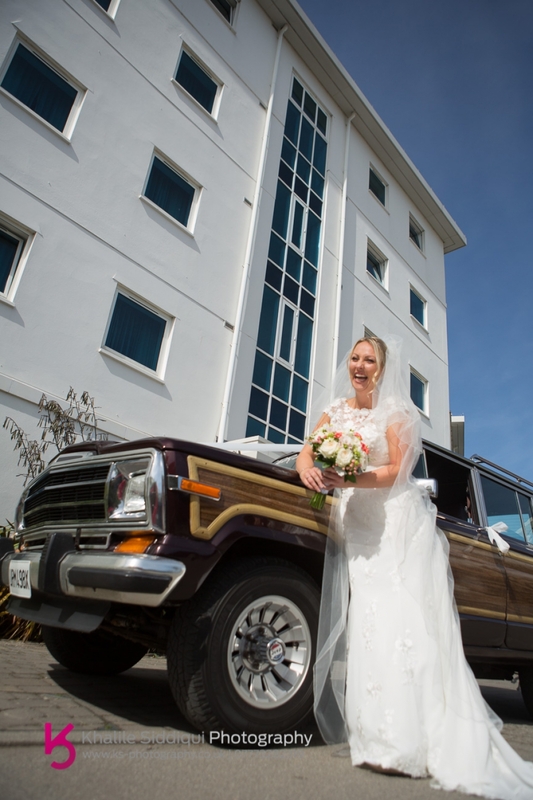 There were quite a few usual suspects there including the beautiful Hannah from Vu's Bridal in Wadebridge where Sara acquired her beautiful bridal gown. 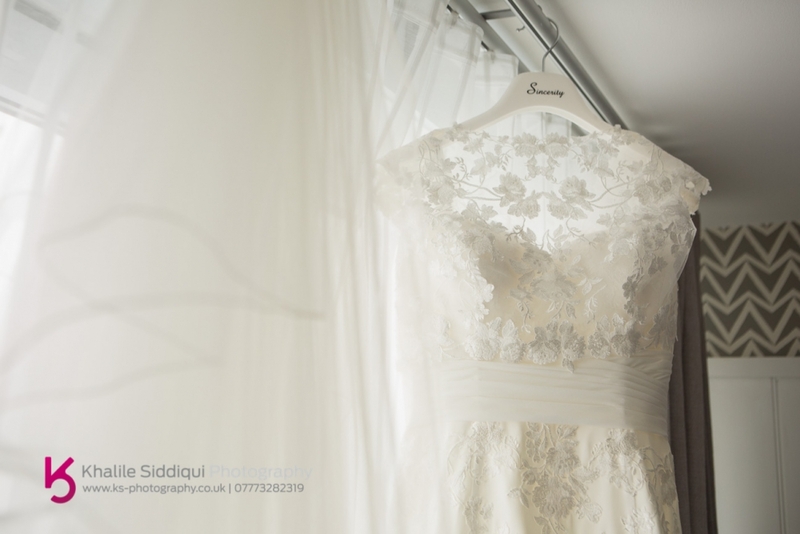 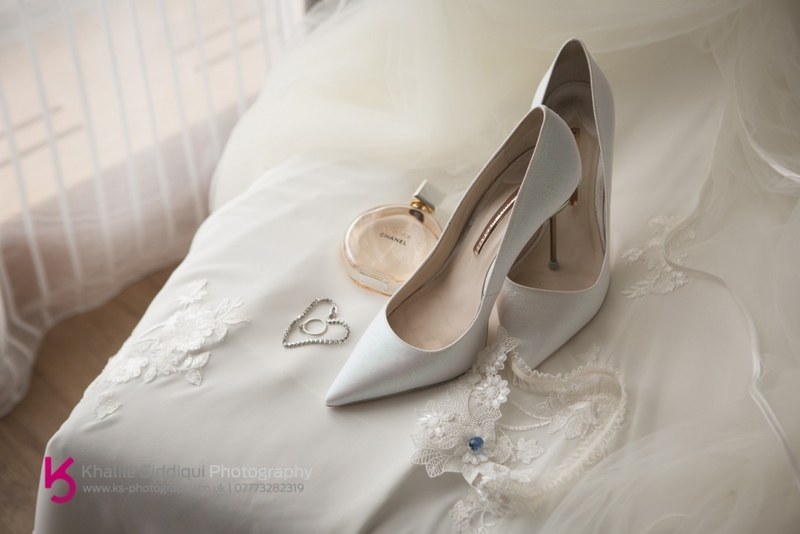 We've photographed many brides who've purchased their dresses from Vu's, each very unique but ALWAYS stunning! 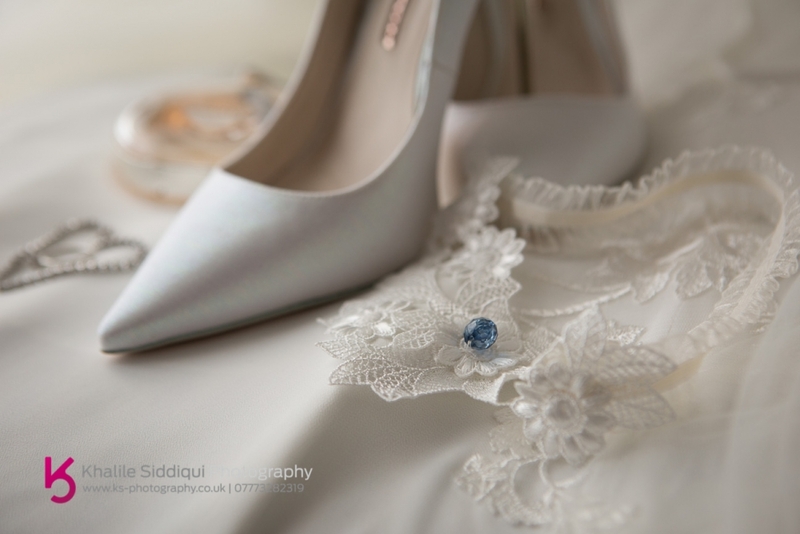 Hannah actually handmade Sara's garter herself, clever girl that she is!!! 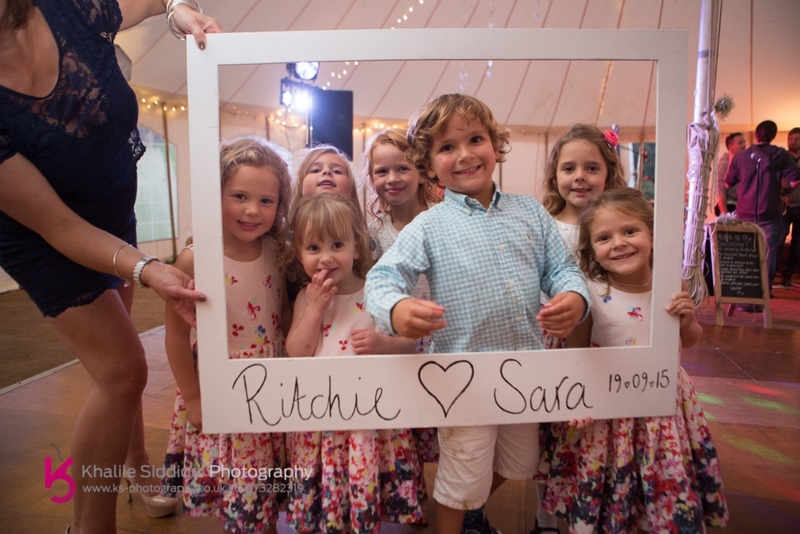 And Ritchie being the thoughtful loving guy that he is sent over Sara some personalised wedding presents. 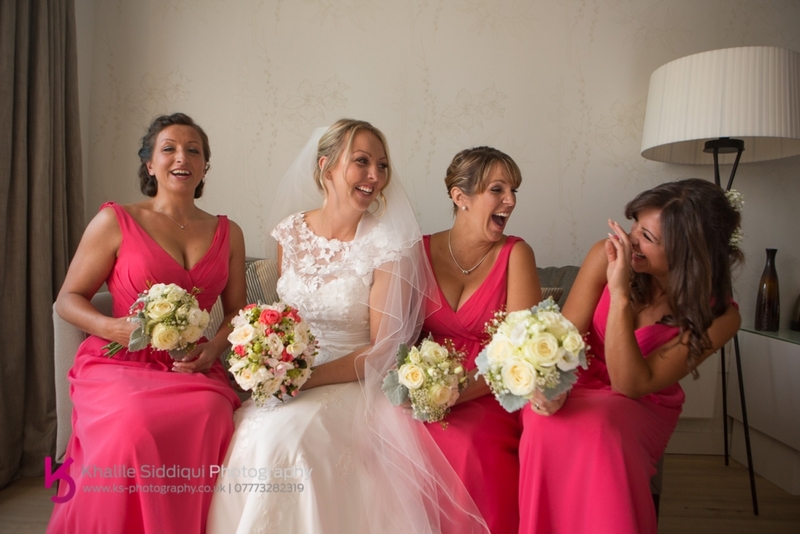 The gifts weren't the only thing Ritchie sent over, he also sent his long time friend and usherette Sarah over to get ready with Sara and the bridesmaids. 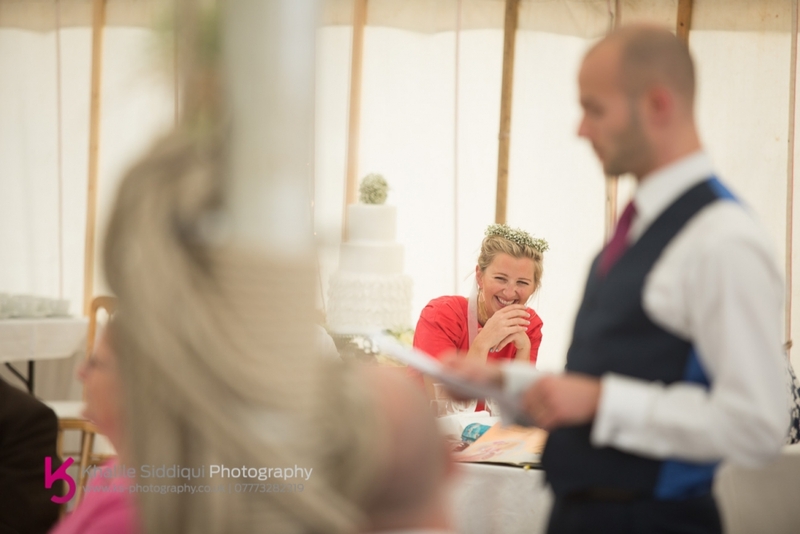 Now, apart from Sara and the gang, there was another very busy lady, Sarah from The Little Cake Shop in Newquay. 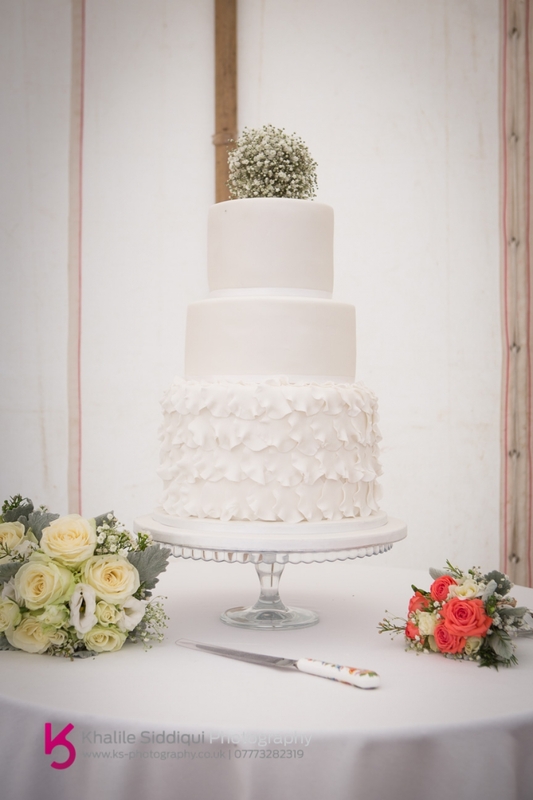 Not only did she make the cake (as you were probably expecting) but being a personal friend of Sara's and a trained florist, she also did all the flowers too! 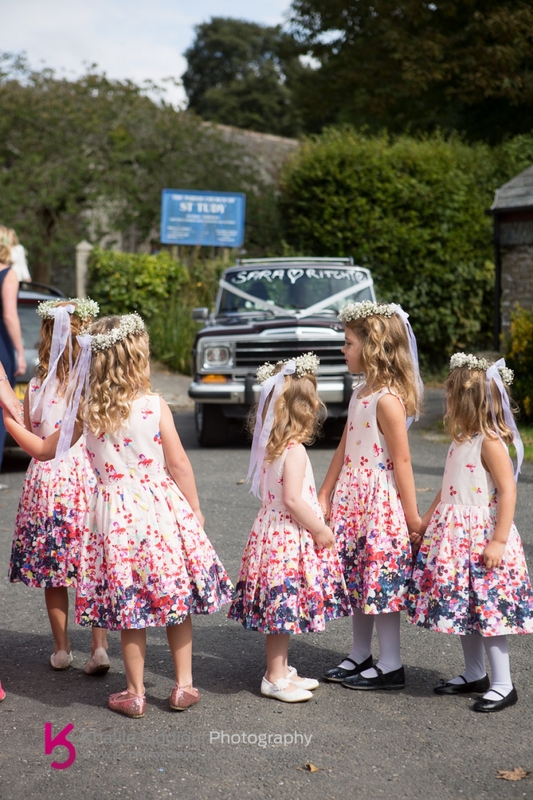 On arrival to St.Tudy church I was welcomed by Sara's five VERY cute bridesmaids. 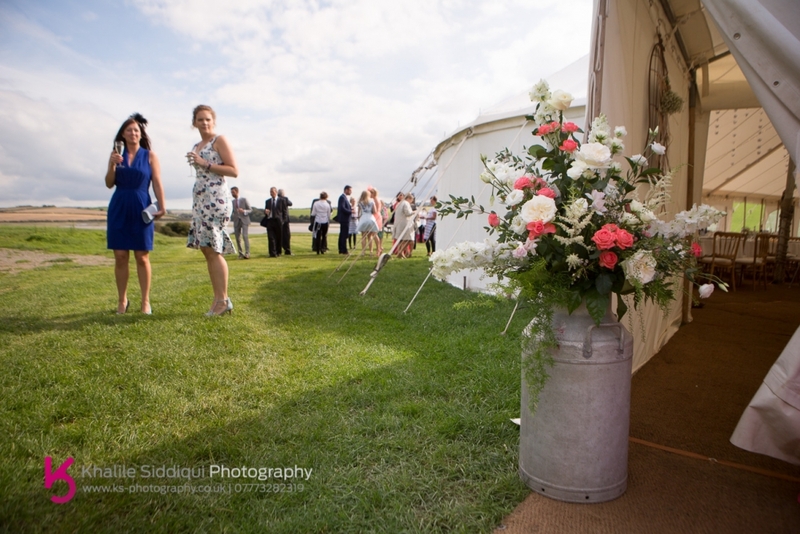 Being in the wedding industry since 2007 we've seen and used a lot of different services, and I always offer my advice if wanted, and Sara took me up on it when she asked "I don't suppose to know where I can hire some old milk churns do you?" 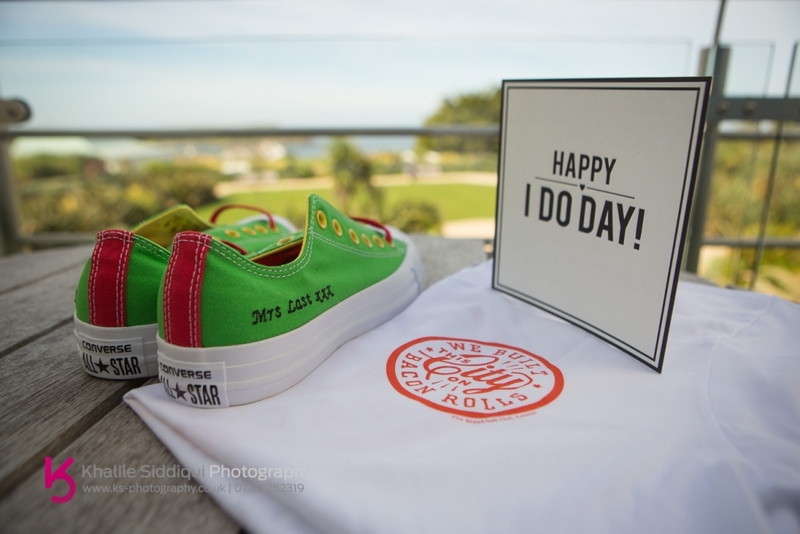 Well, it so happens that I do! 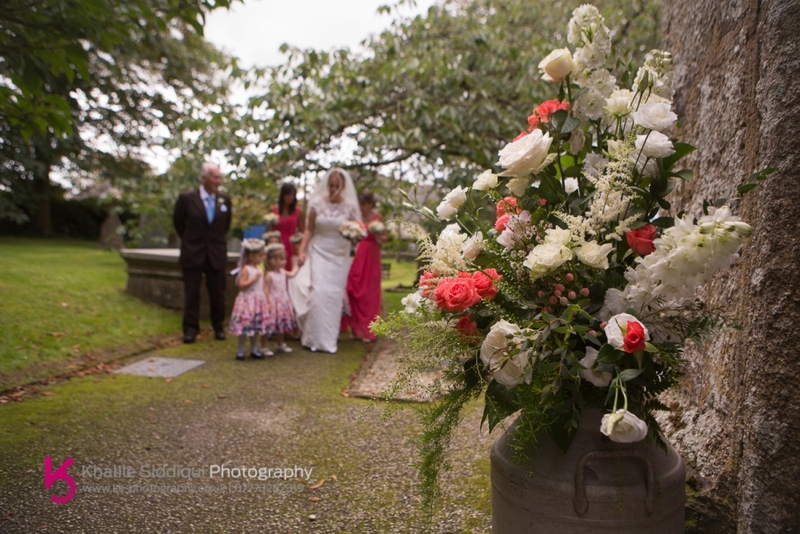 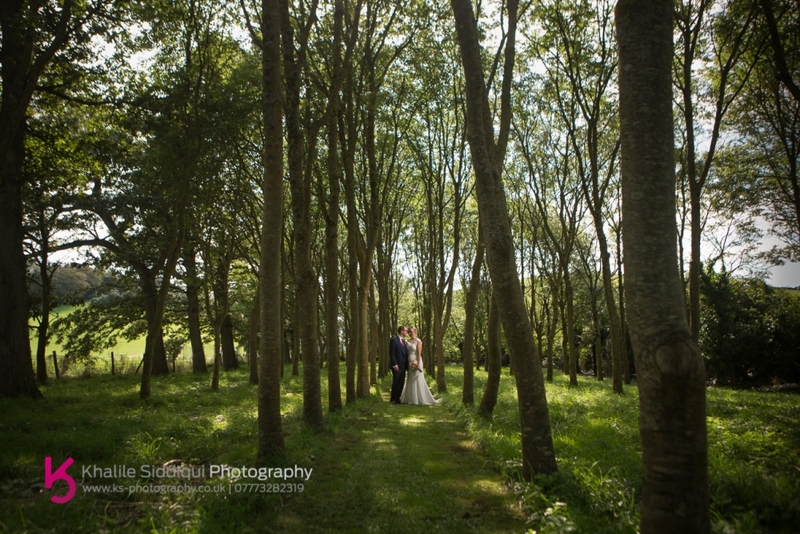 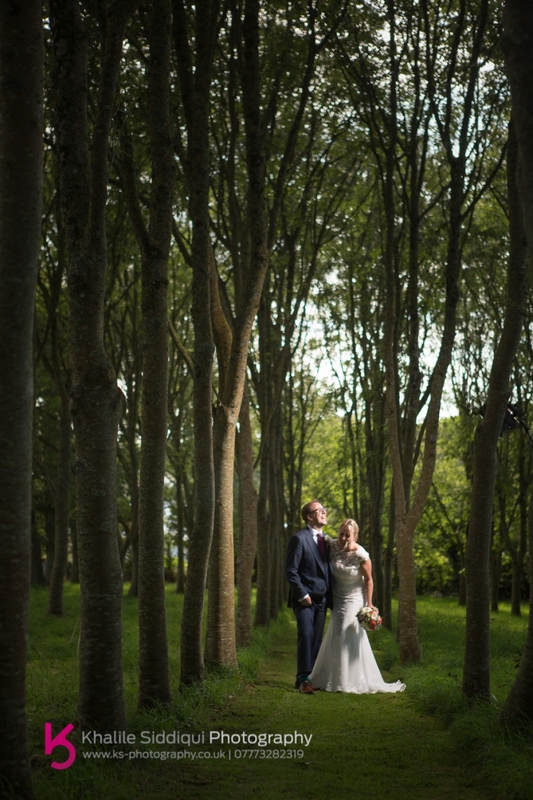 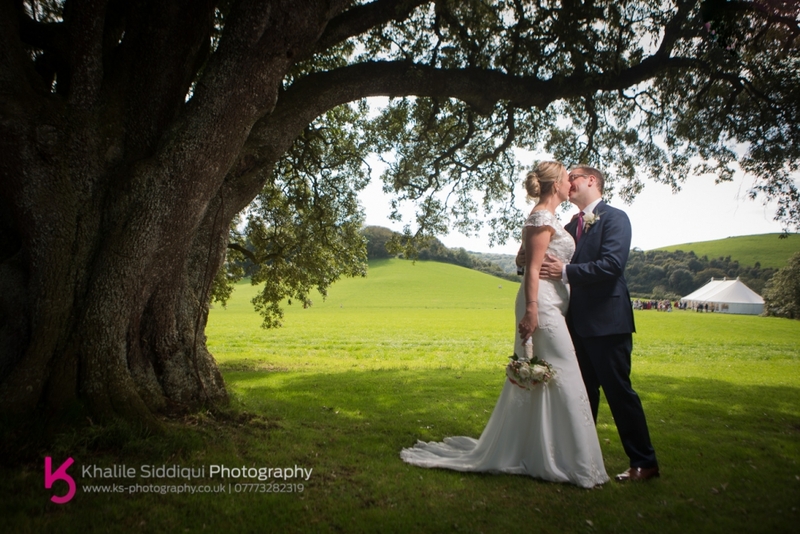 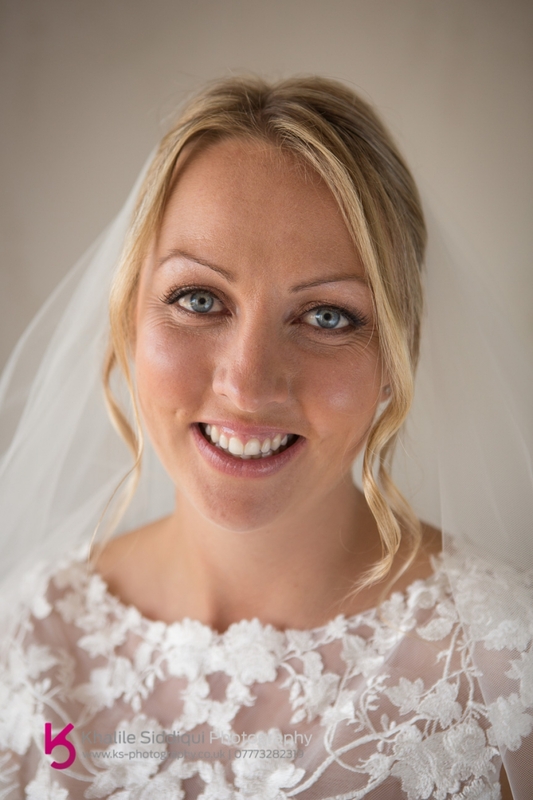 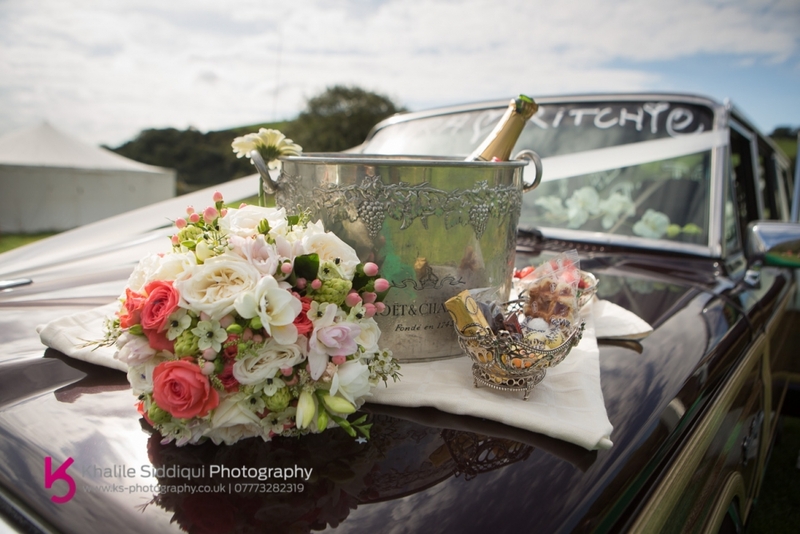 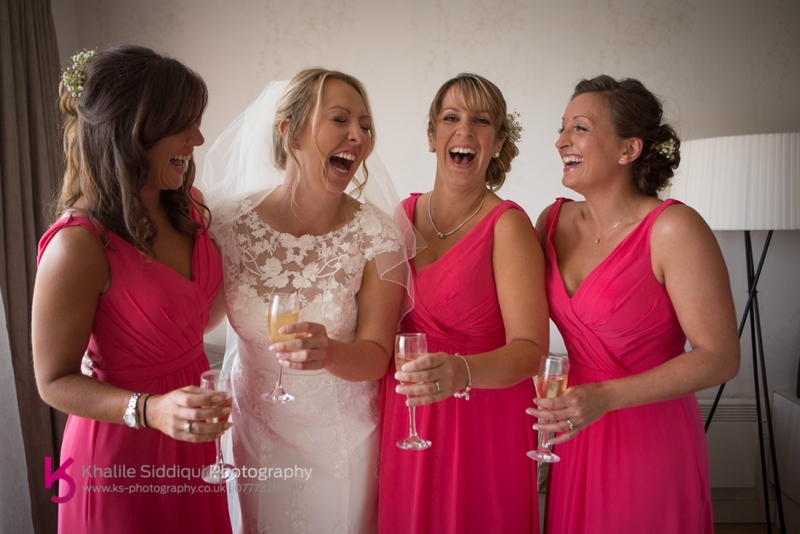 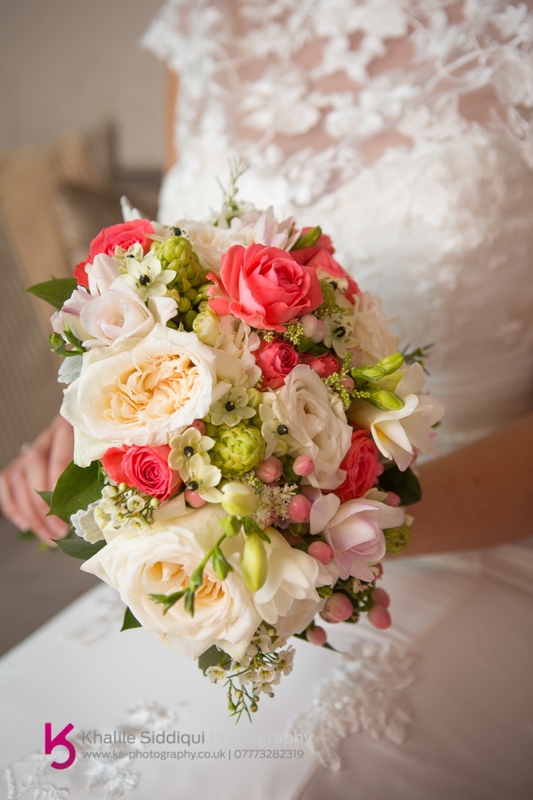 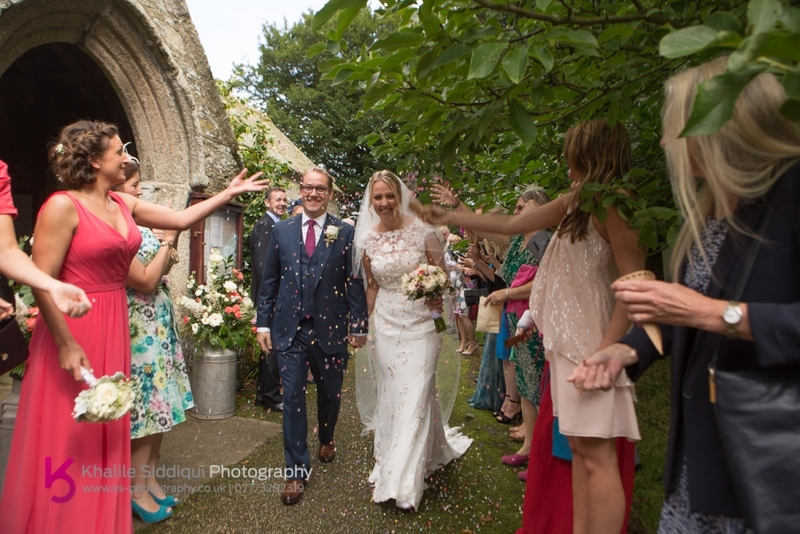 So I put her in touch with the beautiful wedding hire oracle that is Emma Halliday of The Cornish Wedding Company. 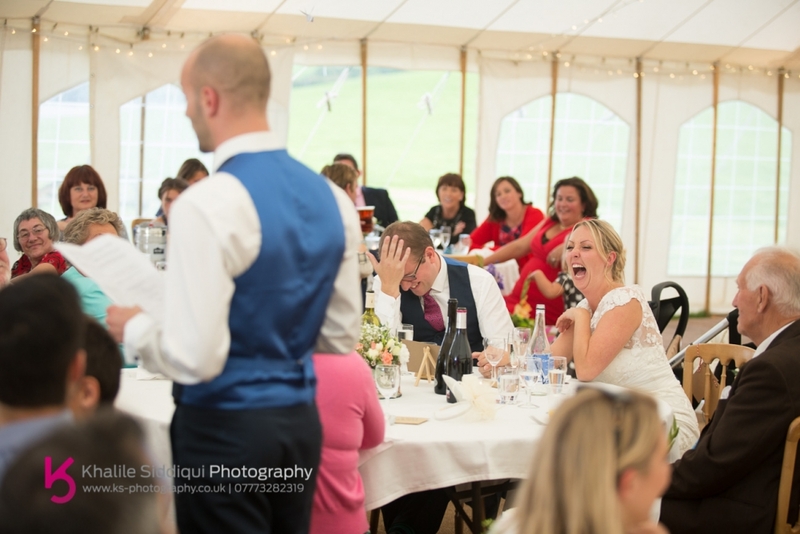 OK, here's a little story of 'You get what you pay for!' 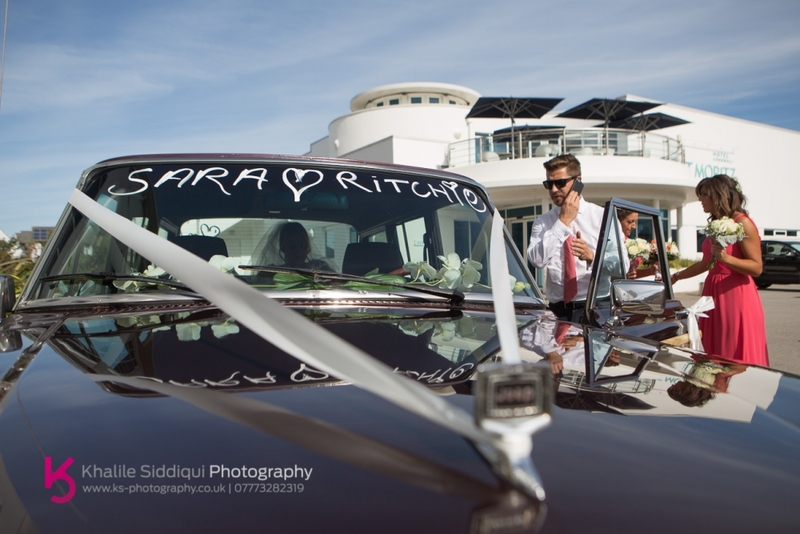 Sara and Ritchie hired their marquee from Absolute Canvas. 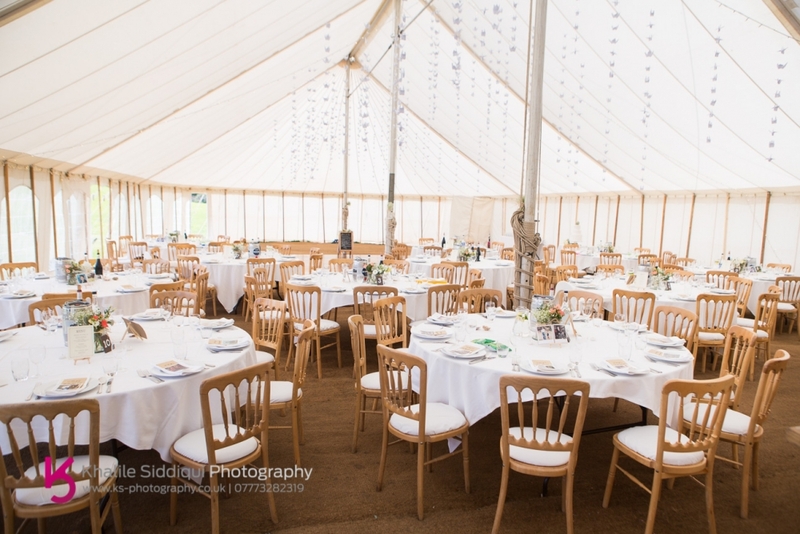 Just days before the wedding Sara received a call from Absolute Canvas to say that someone (who must have been a tad short sighted) didn't see the marquee and backed into the marquee that they were due to have for their wedding. 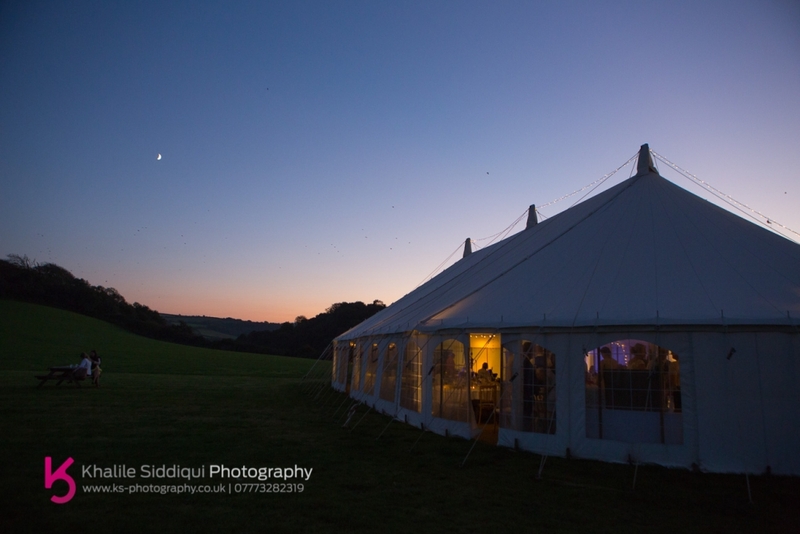 Now, there are many marquee companies out there who just purchase their marquee as cheaply as possible and you get what you're given. 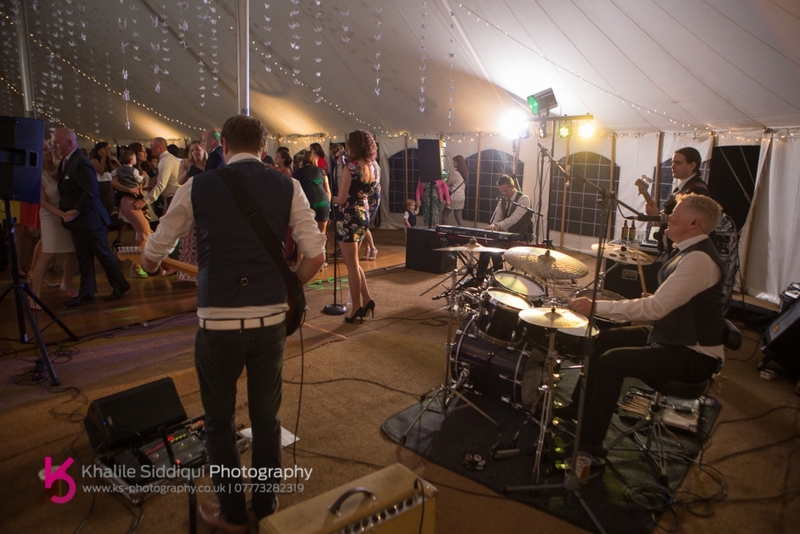 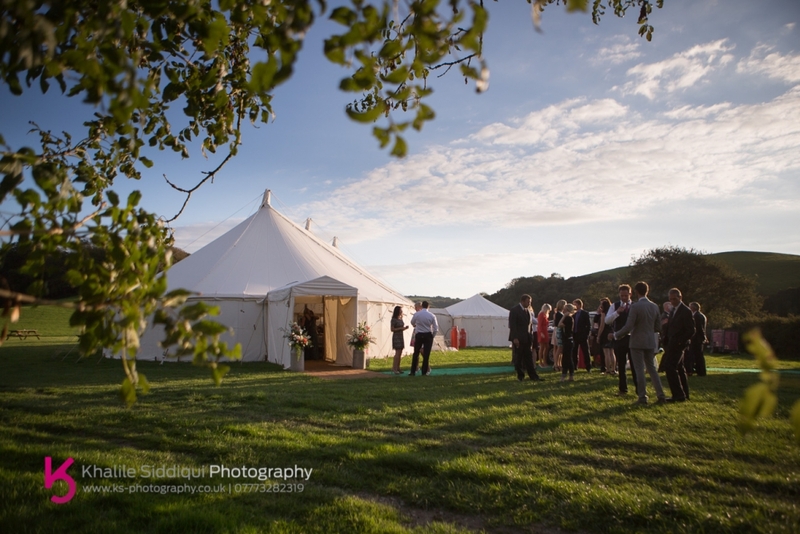 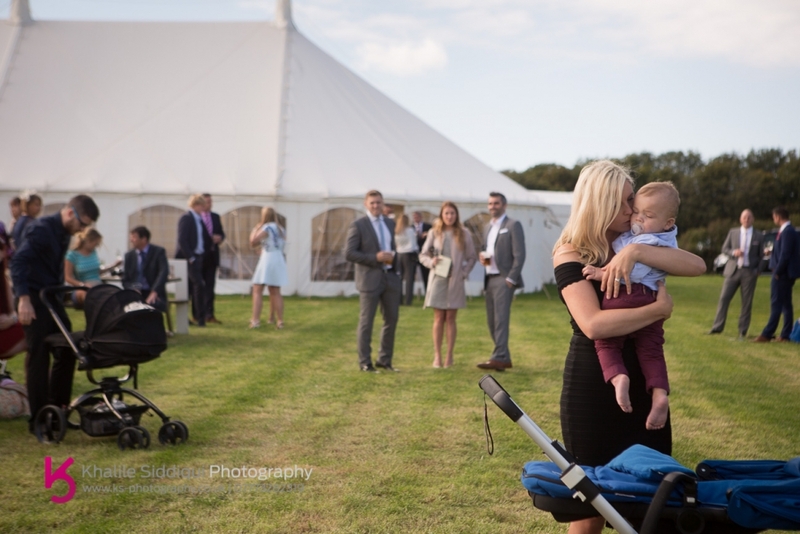 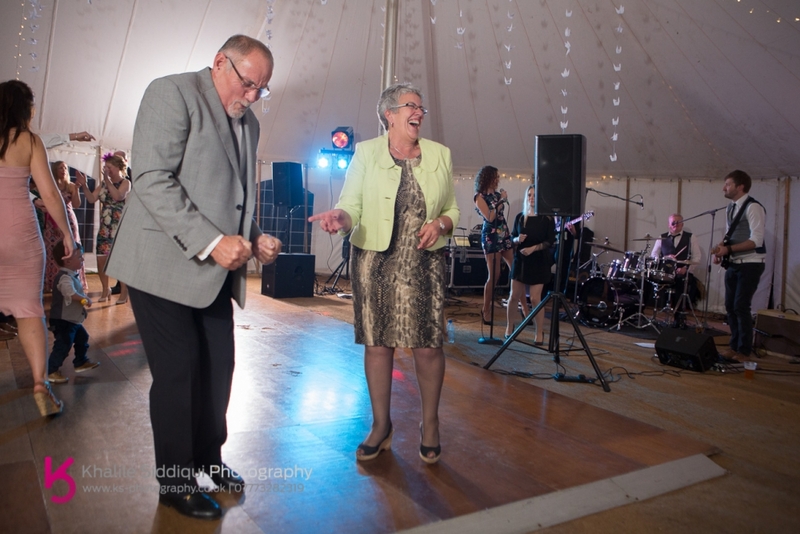 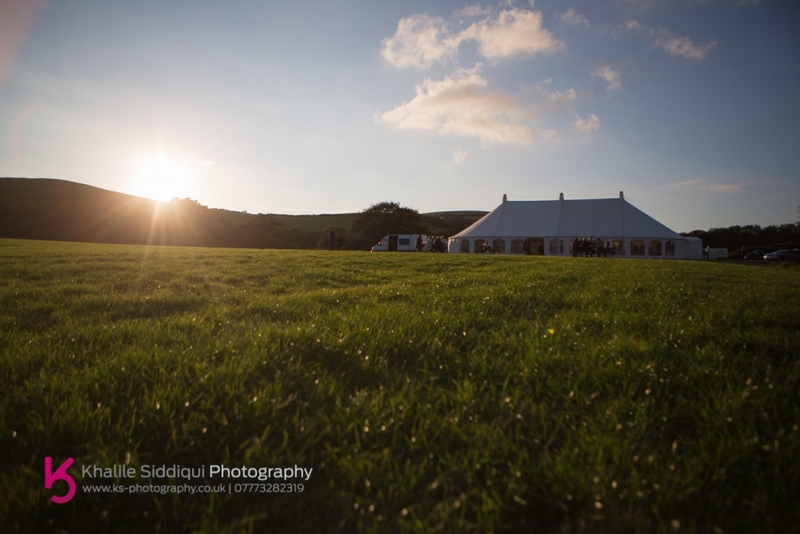 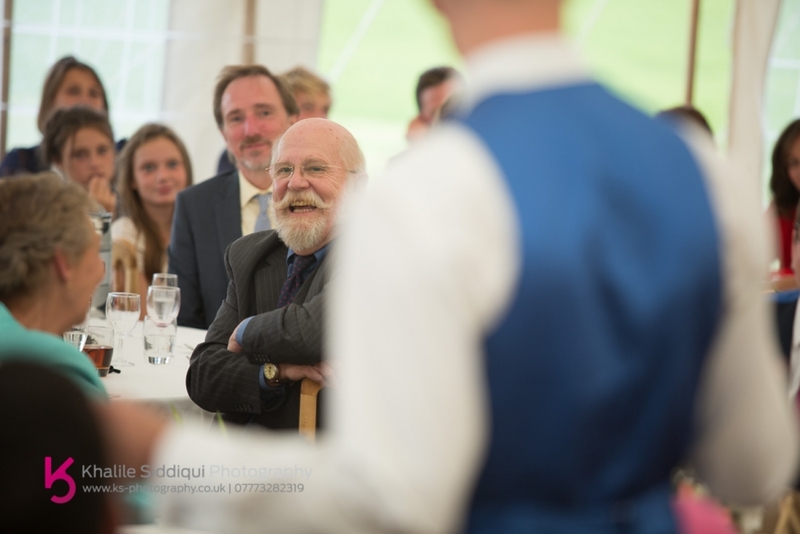 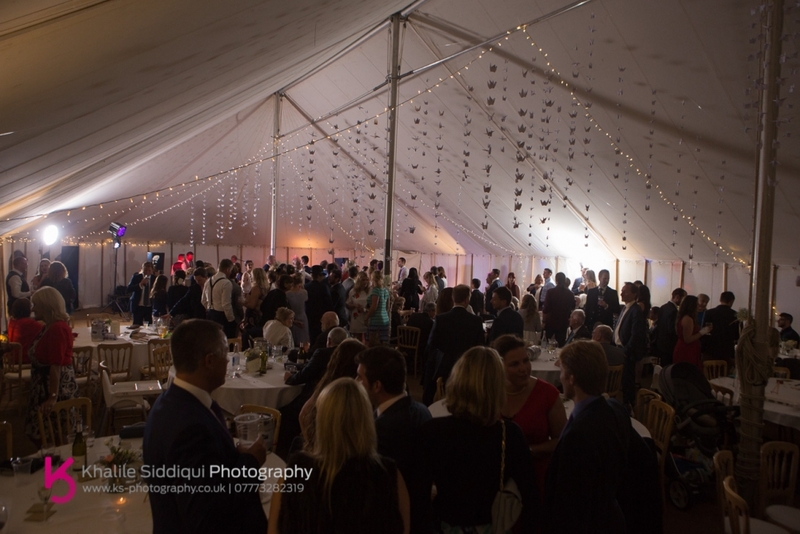 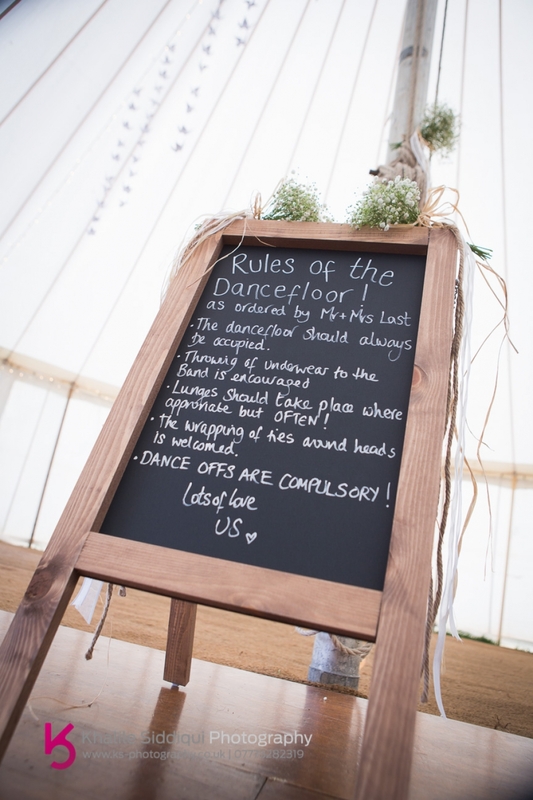 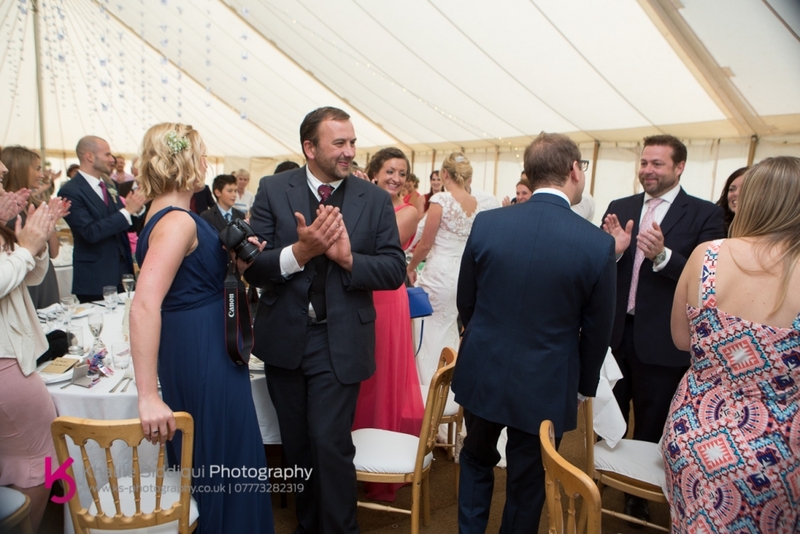 But being as Sara and Ritchie used Absolute Canvas who not only design and manufacture all of their bespoke marquees themselves, they also have the backup to cater for these eventualities and supplied an even bigger marquee well before the big day. 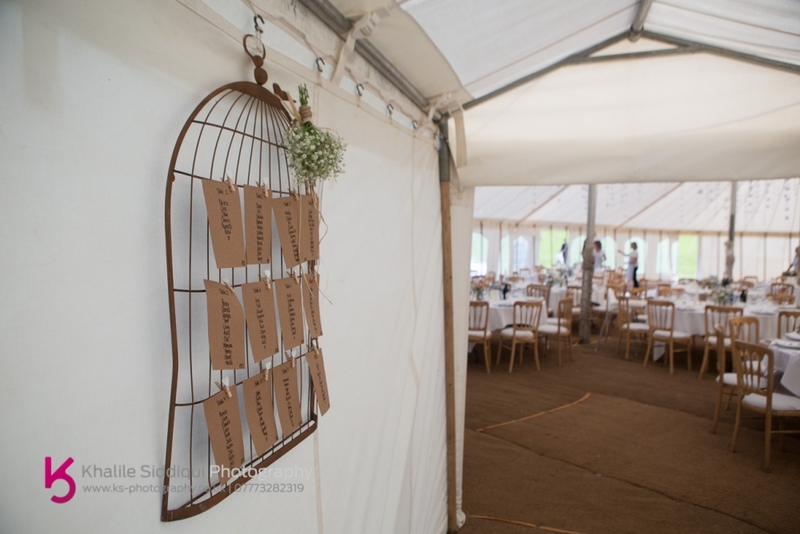 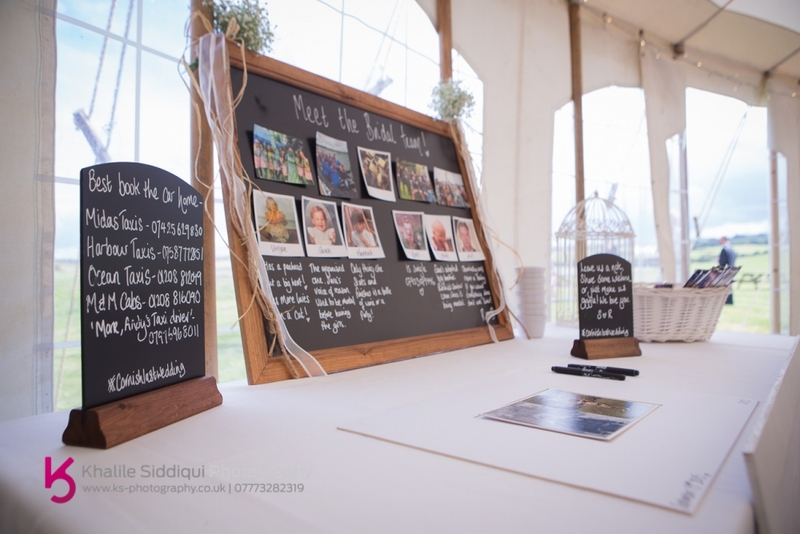 They were also supplying the manned bar which also makes a lot of sense, as if you ever want anything doing with the marquee, you've got a man there onsite throughout your wedding day. 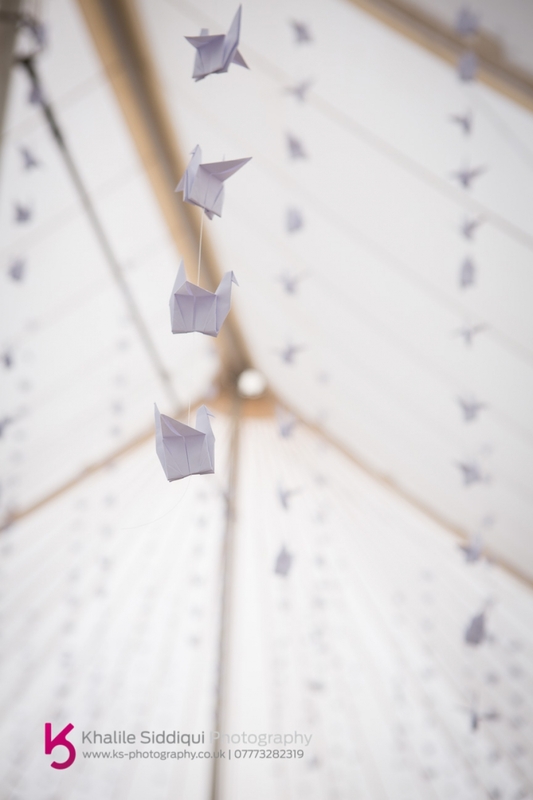 I thought this was a lovely if not time consuming touch, origami doves hanging from the ceiling. 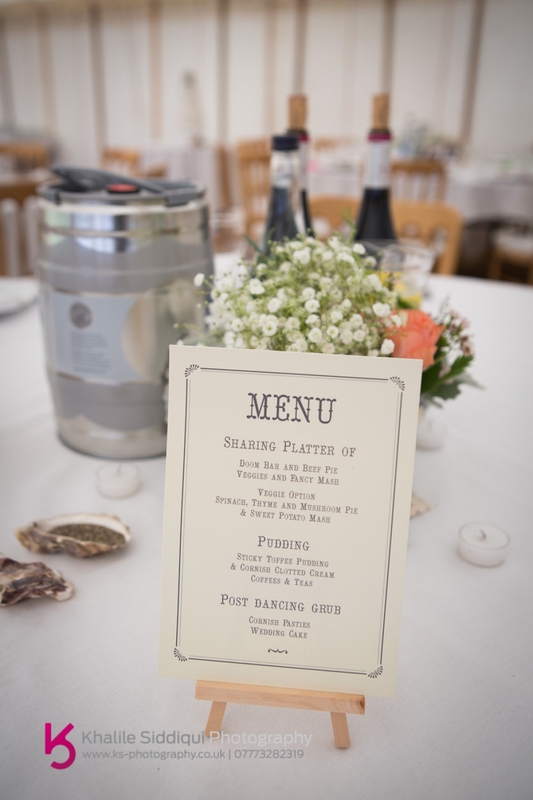 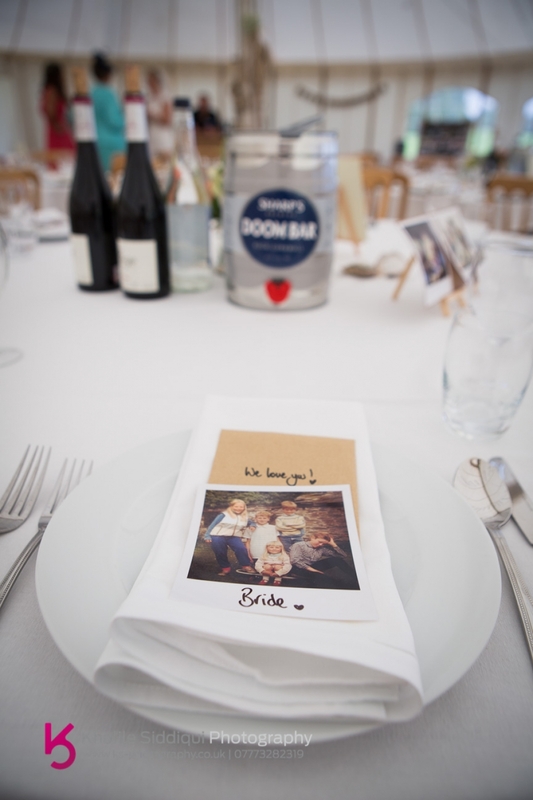 Because not everyone likes to drink wine, Sara and Ritchie put a keg of Doom Bar on each table to accompany the wine. 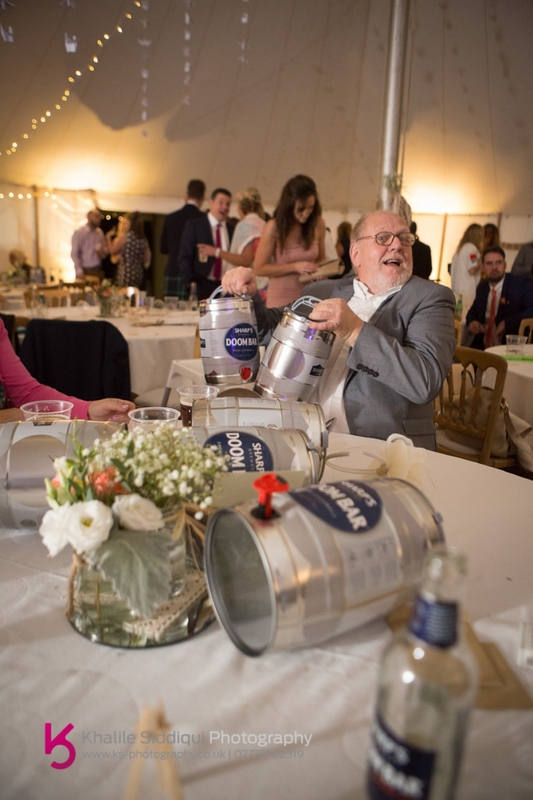 It was such a great sight all these men lovingly nursing their kegs, and no one was more caring than Ritchie's own dad. 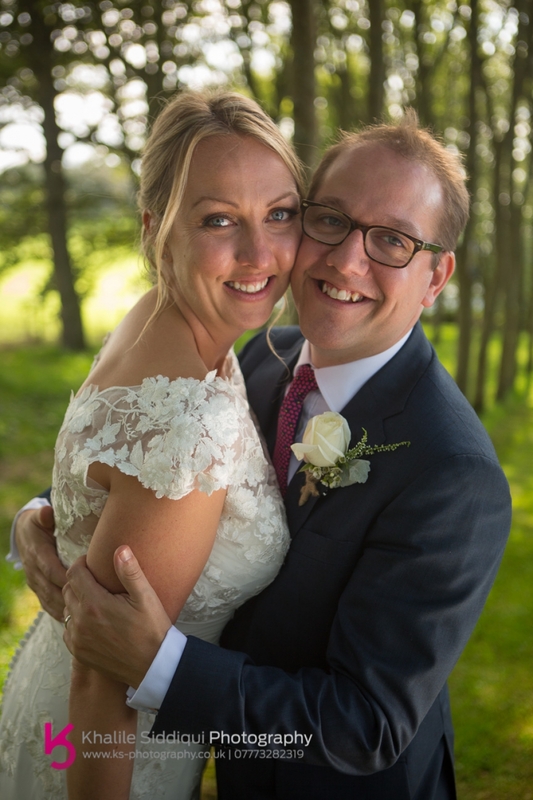 Dearest Sara & Ritchie, it really was a treat getting to share your special day with you and seeing so many familiar faces. 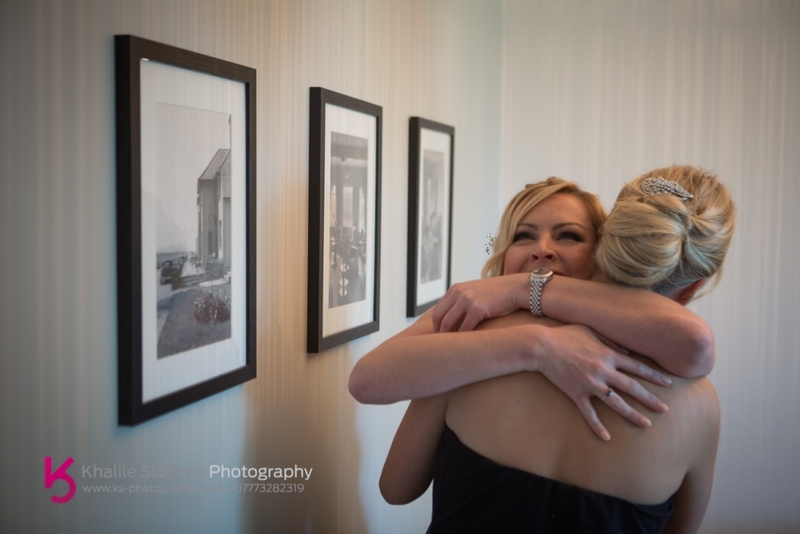 You really are two beautiful people with souls of gold. 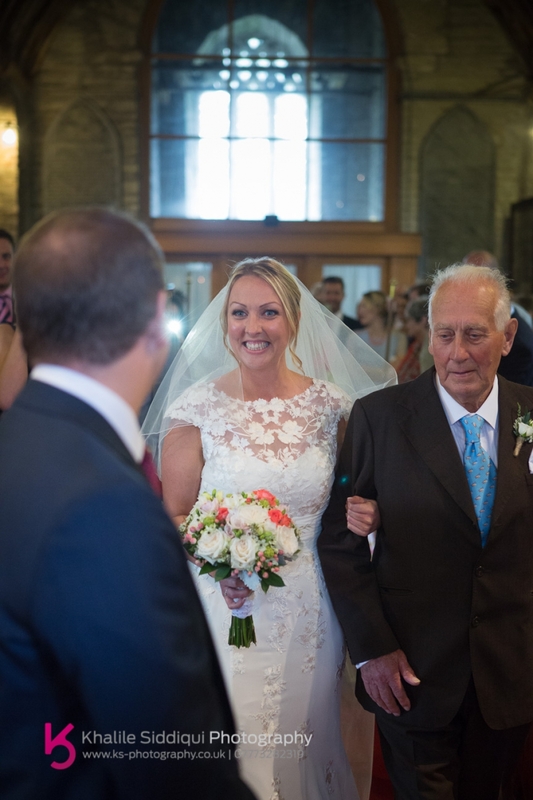 Tamsyn and I wish you a very long and happy life together. 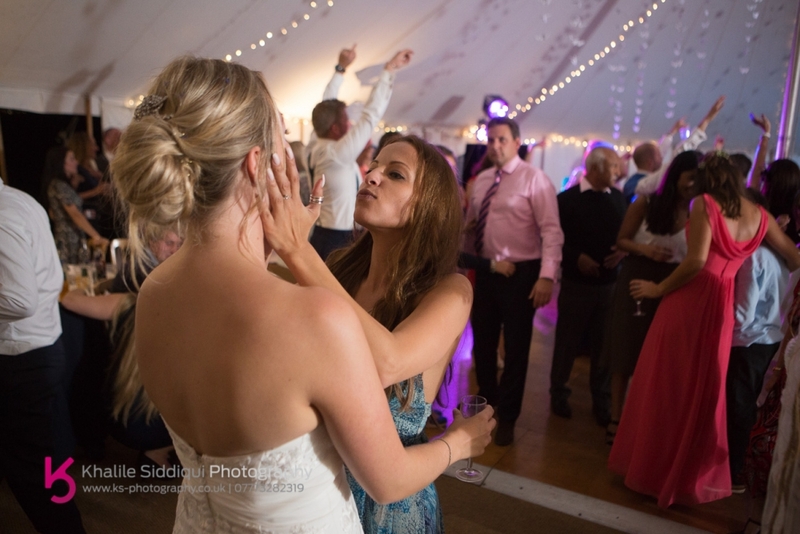 I've been looking forward to this Dinham House wedding for a year, ever since Sara was a bridesmaid at one of the craziest weddings of 2014!